Content will vary based on which country your subscription is for. 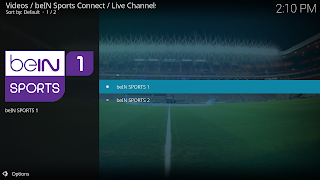 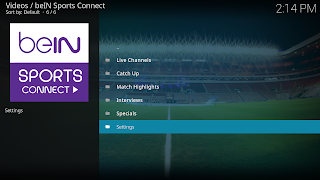 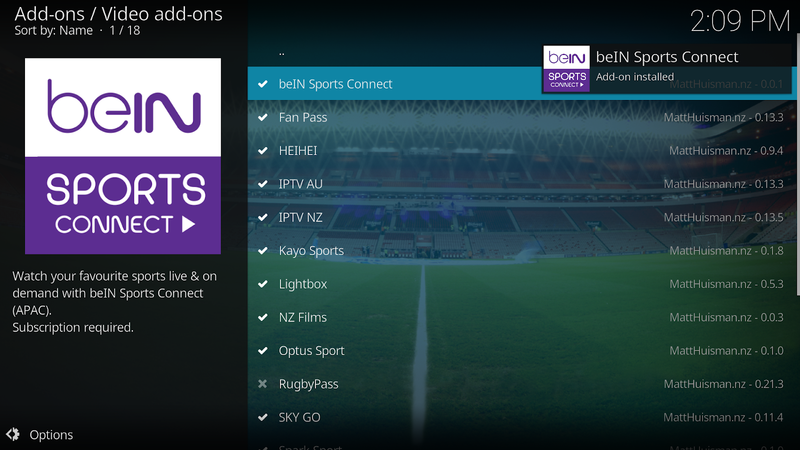 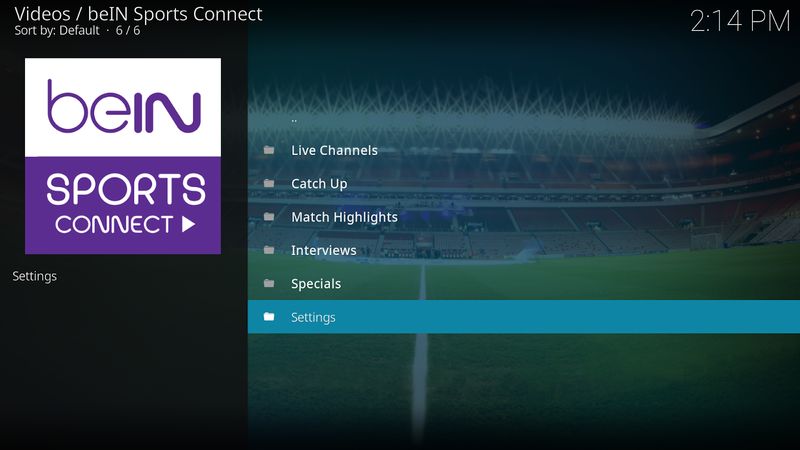 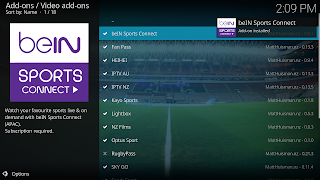 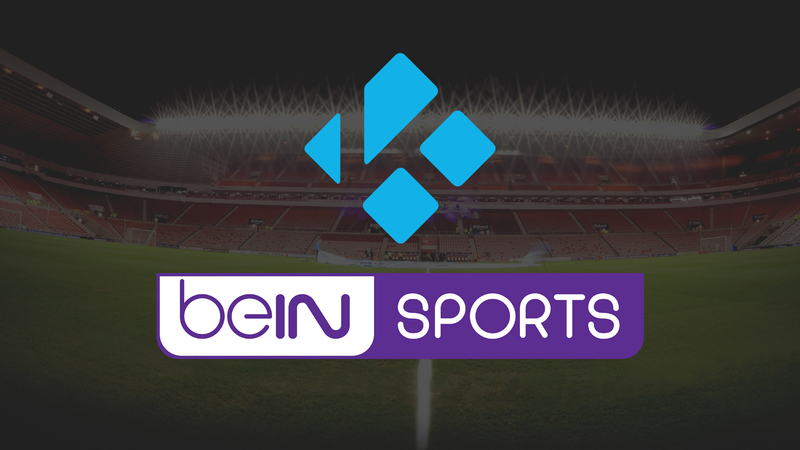 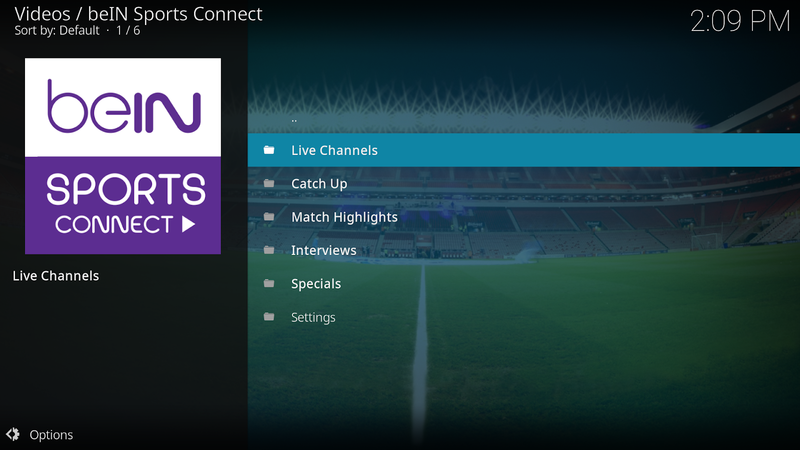 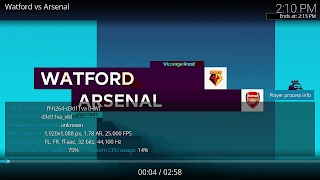 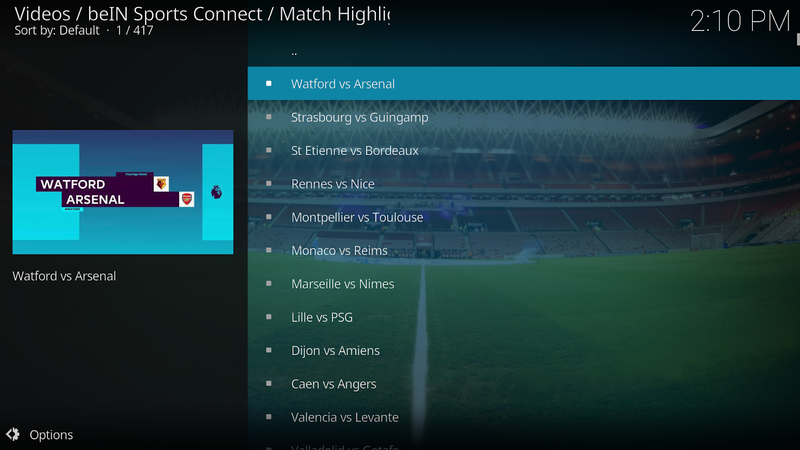 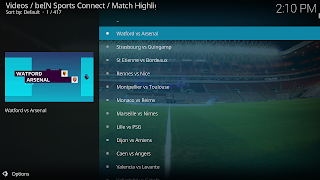 Select "Video add-ons" then "beIN Sports Connect"
You will need to login with your beIN Sports credentials before accessing any content. 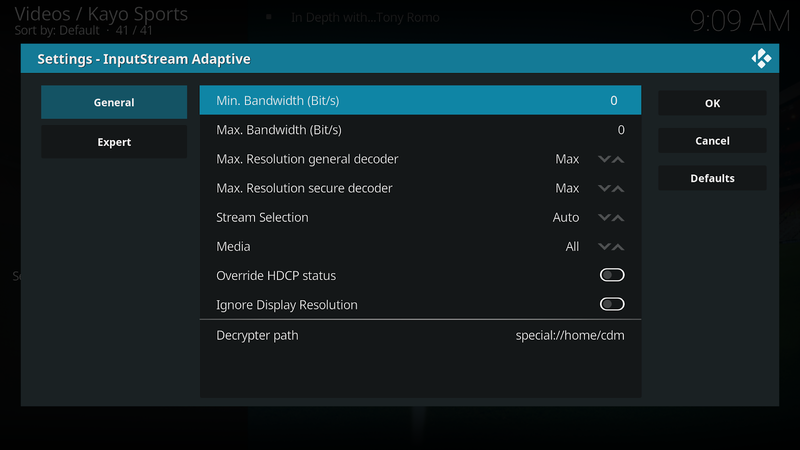 You can access the add-on settings via the add-on main menu. 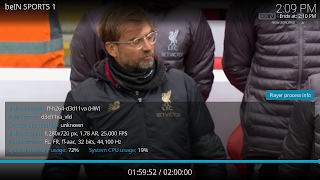 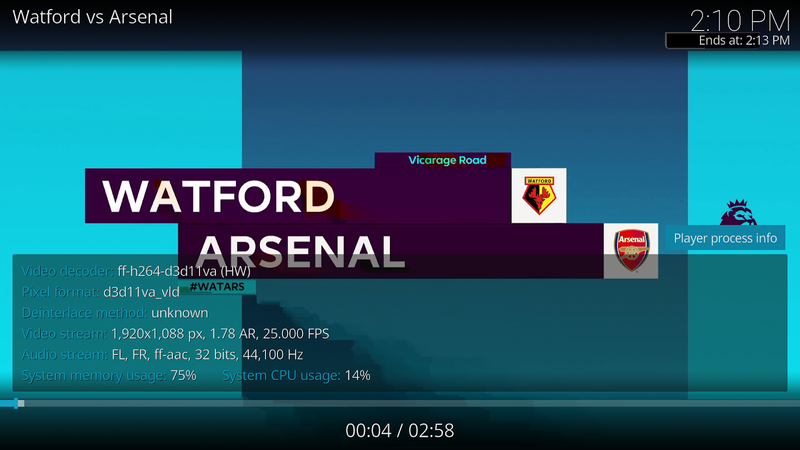 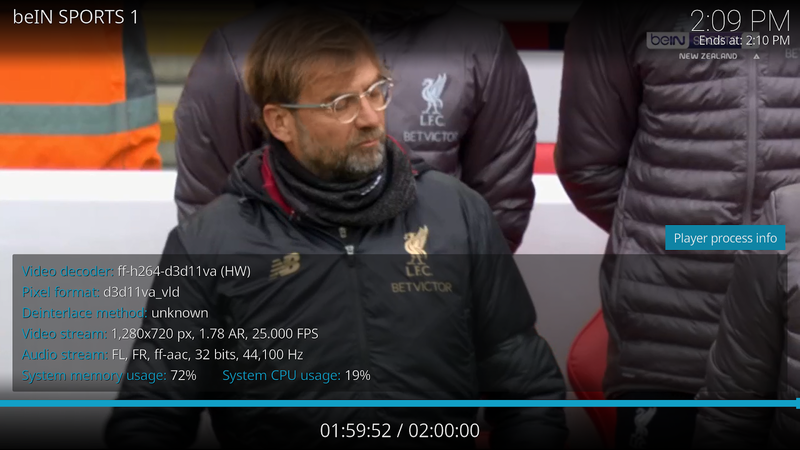 Playback quality is controlled via the Inputstream add-on. 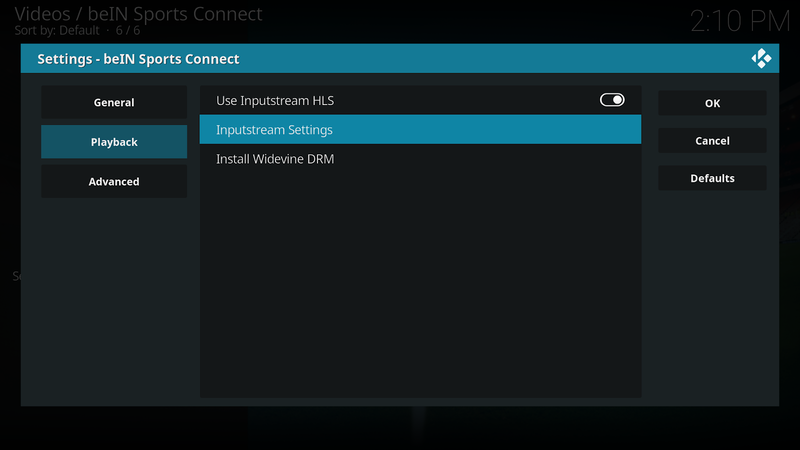 You can access settings for it via the "Inputstream Settings" add-on settings item (as above). 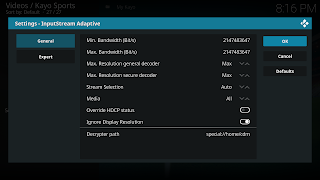 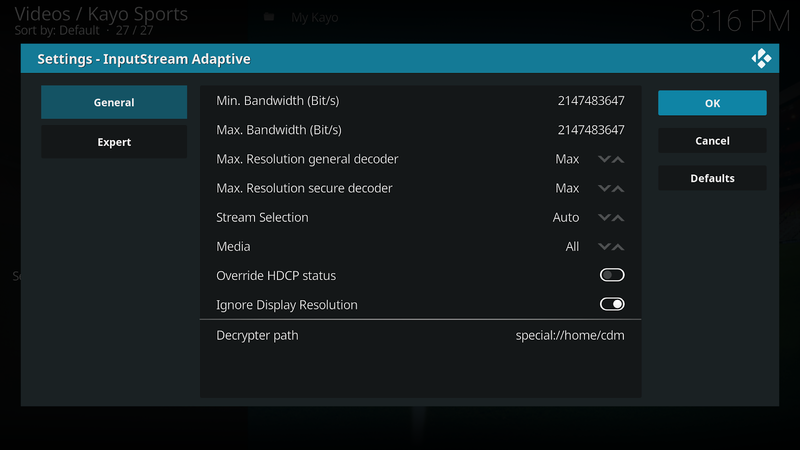 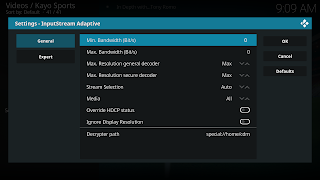 Below are the settings that should force Inputstream Adaptive to choose the highest quality stream. 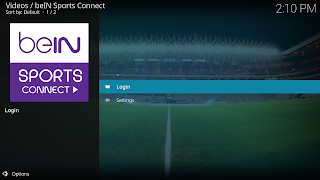 The add-on will not store your password. It is sent securely via https directly to the beIN Sports servers. 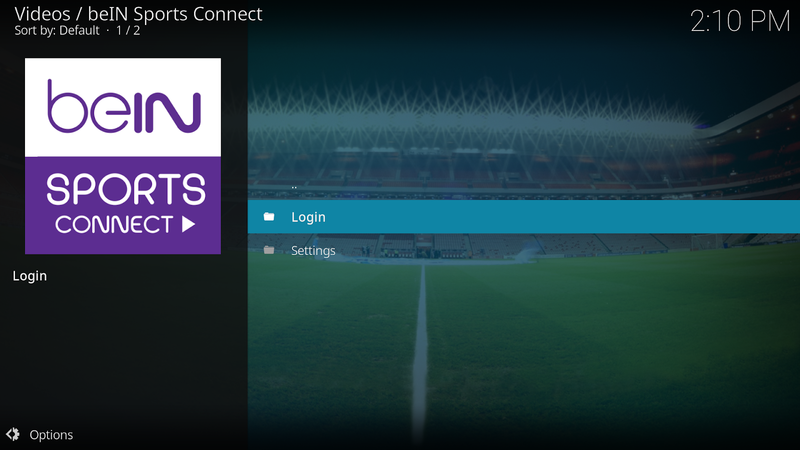 The server returns a token that can be used to login in the future. 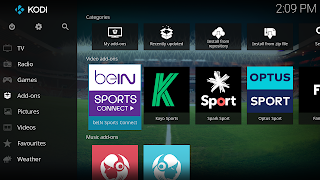 This token and your username is stored in the add-ons userdata folder.